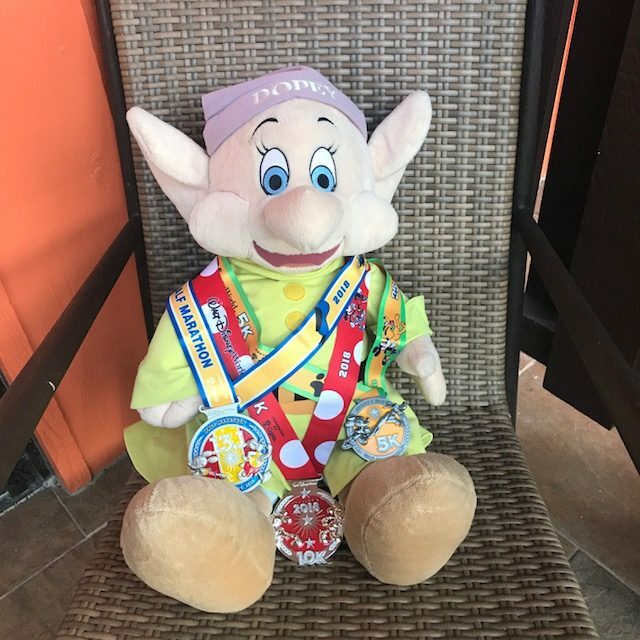 Over the years we have brought you loads of coverage for the Walt Disney World Marathon Weekend (just scroll to the bottom of this article and check it out, but don’t forget to come back). As you can see there’s plenty of coverage and the courses really haven’t changed, so this year I figured it was time to do something different. Thus, I bring you the Highlights from all the races! 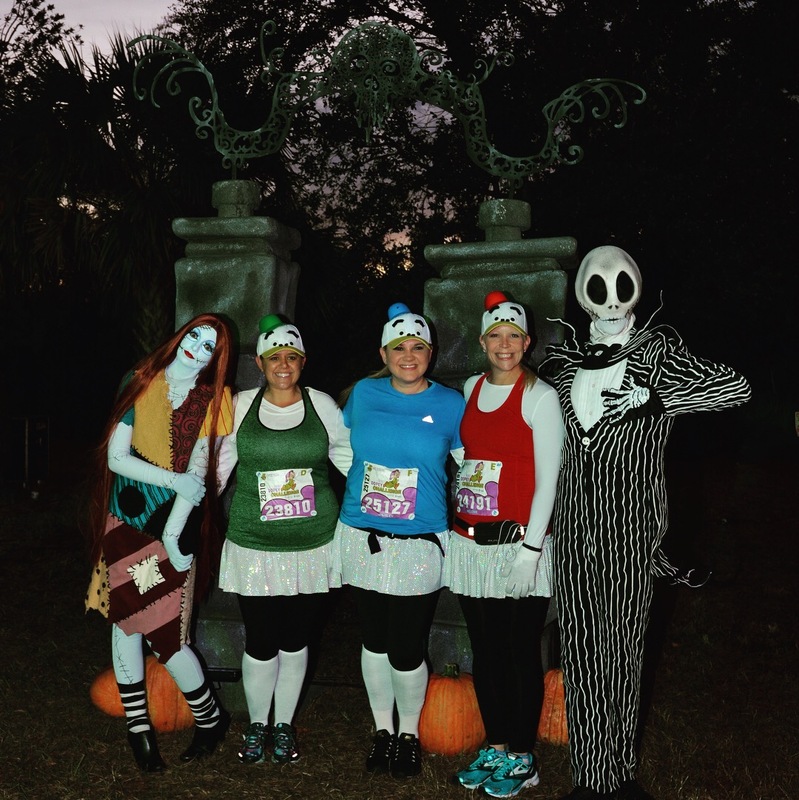 For all expo coverage make sure you checkout last week’s article of the Walt Disney World 5K Highlights. There was a minor change to the course due to construction in Magic Kingdom backstage. I loved this course change. Instead of running back towards Space Mountain and in the backstage area of Magic Kingdom we took a left to run along Seven Seas Lagoon toward the Magic Kingdom by where the buses drop off. We then ran straight thru the tap styles toward the train station. We headed straight thru the front entrance to the right to enter Magic Kingdom onto Main Street USA. 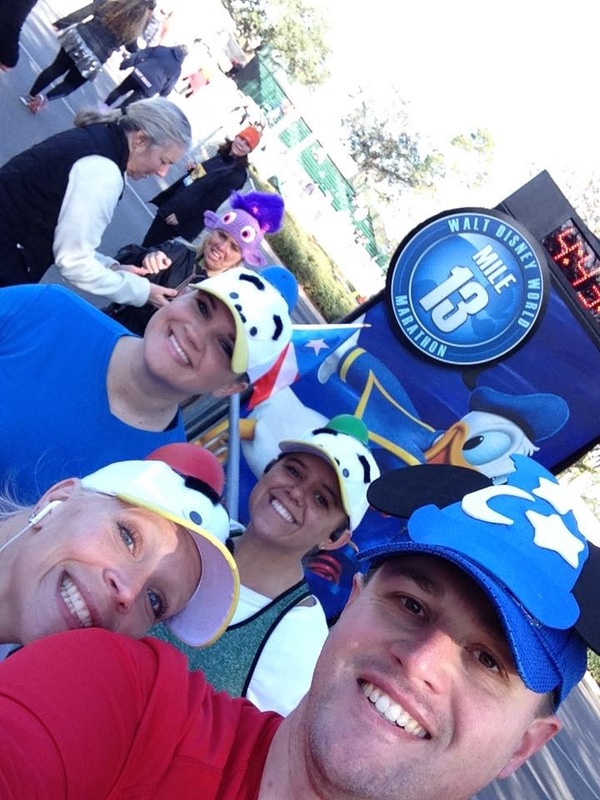 Helene, Ashley, and I ran as Donald Duck’s nephews, Huey, Dewey, and Louie. We wore long sleeve white shirts with tank top/t-shirts on top in red, blue, and green. We started with gloves but as the temperatures began to rise we quickly ditched them. On our bottom halves we wore black leggings with white sparkle skirts. To finish our look we wore hats on our heads that looked like the upper halves of the ducks heads with tiny matching baseball caps on top. 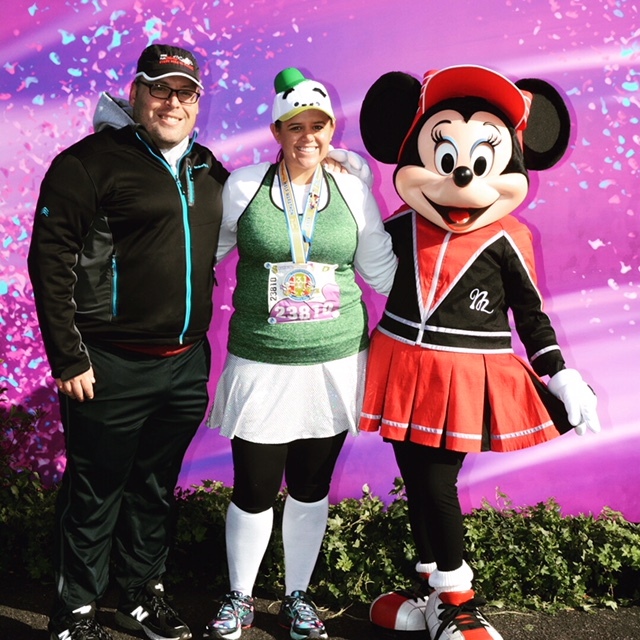 We ran this race with another Casual Runner, Jason, who dressed as Sorcerer Mickey. 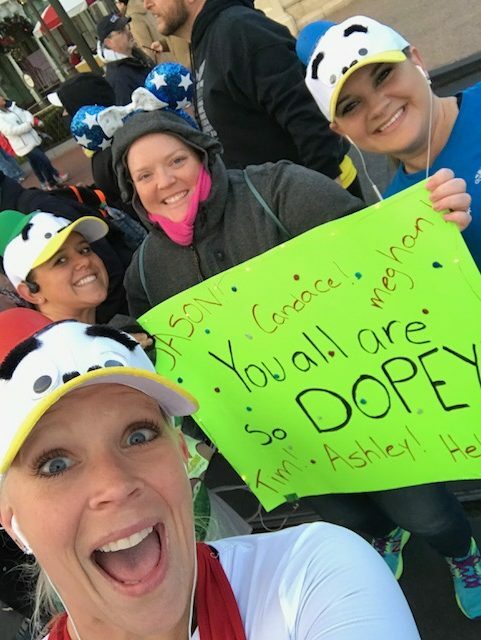 Mile 1 – Sorcerer Mickey, Mile 2 – Rapunzel and Flynn Ryder, Mile 3 – Nemo, Dory, and Marlin, Mile 4 – Cinderella, Mile 5 – Lady and the Tramp, Mile 6 – Bambi and Thumper, and Mile 7 – Belle. 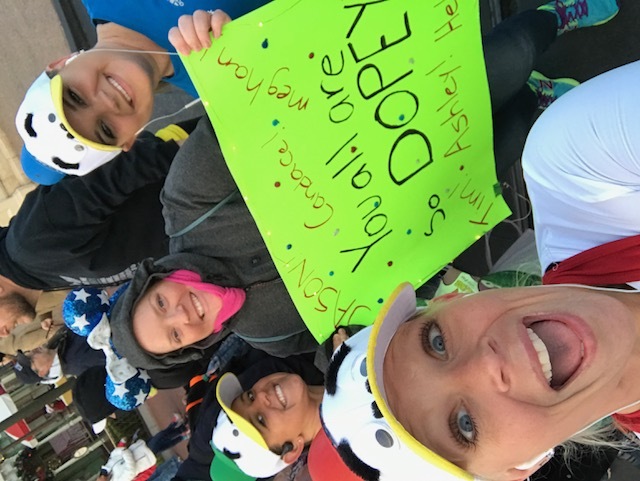 Mile 8 – Snow White and Prince Charming, Mile 9 – Elsa, Anna, and Olaf, Mile 10 – Peter Pan and Captain Hook, Mile 11 – Merida, Mile 12 – Baymax and Hiro, and Mile 13 – Donald Duck. Let me start by saying there were a lot characters on the course, however there wasn’t a character stop for almost three miles. I find this ridiculous. 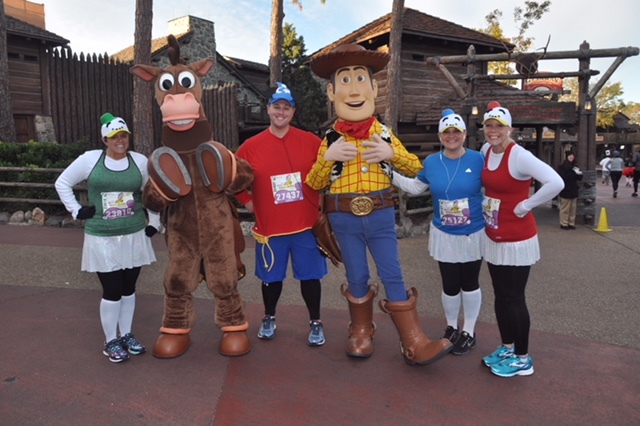 I’m not quite sure why runDisney thought this was a good idea. There was Pirates of the Caribbean on World Drive, but they wouldn’t let anyone stop at the beginning and said it was for on the way back. Before a character stop occurred there was a high school band, stilt walkers around mile one, and Mickey hot air balloon on World Drive. The first stop was Lightening McQueen and Mater which were followed up with a water/Powerade station (the first time Powerade was offered on the course). Immediately following the hydration stop was Wreck it Ralph and Vanellope Von Schweetz. Next up was a rare character stop, Jack and Sally, from Nightmare Christmas. Also at this character stop a projected Zero the ghost dog flew thru the trees. Besides a different high school band characters would not show up on course till Magic Kingdom. The first being our on course support, Laura. In Tomorrowland there was Mike and Sully, in front of the tea cups there was the White Rabbit and the Queen of Hearts, and by Story Book Circus there was flight school Goofy where we met up with Victoria for a quick photo op. As we headed toward the castle Sebastian was in front of Under the Sea – Journey of the Little Mermaid and Perla and Suzy the mice from Cinderella before running thru the castle. In Frontierland Woody and Bullseye were out for a photo op in front of the Diamond Horseshoe. On the way out of Magic Kingdom you could stop in front of the barn parade float from the Easter parade and in front of the train on the Disney World Railway. Backstage the princess float was out from the Festival of Fantasy parade. When we stopped by it was Cinderella and Prince Charming, but others had Sleeping Beauty and Prince Phillip. On Grand Floridian Way the penguins from Mary Poppins were up first, followed by the Wedding Singers at the Grand Floridian, next Vacation Genie in front of the Mickey Golf Cart, and ended with Mr. and Mrs. Incredible before World Drive. On World Drive we were finally able to stop at the Pirates of the Caribbean photo stop. On the way up the hill after Mile 10 the infamous army men from Toy Story were there motivating runners. Before entering Epcot Tinkerbell was out for a photo stop with her fairy friends. Once inside Epcot at the turn around before World Showcase was Stitch. 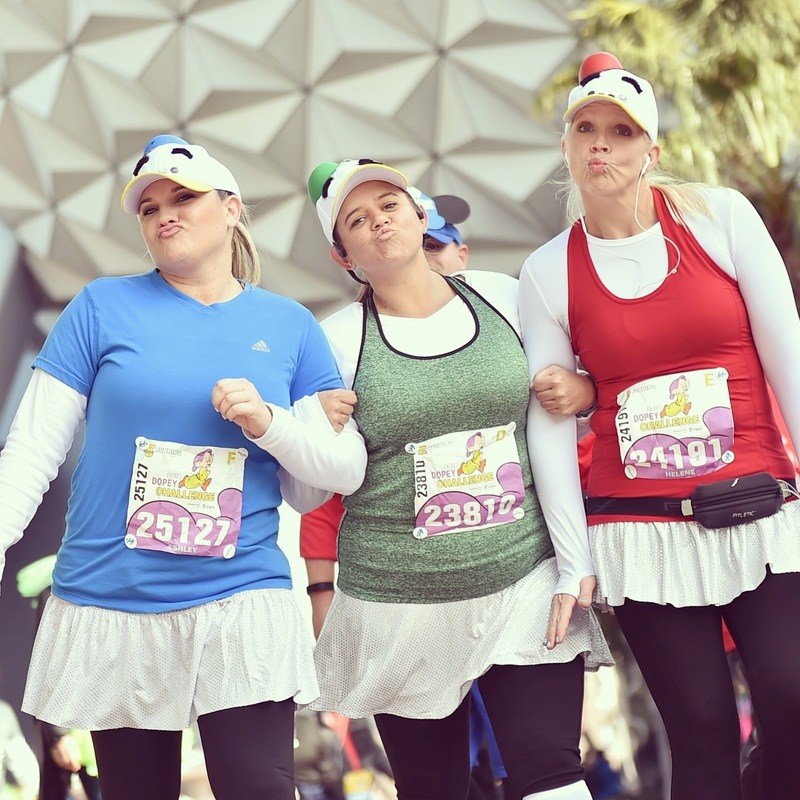 Once we were backstage the gospel choir sang as we ran to the finish line and high-fived Chip and Dale as we crossed. We were greeted by Mike and Laura cheering us on at the finish line! 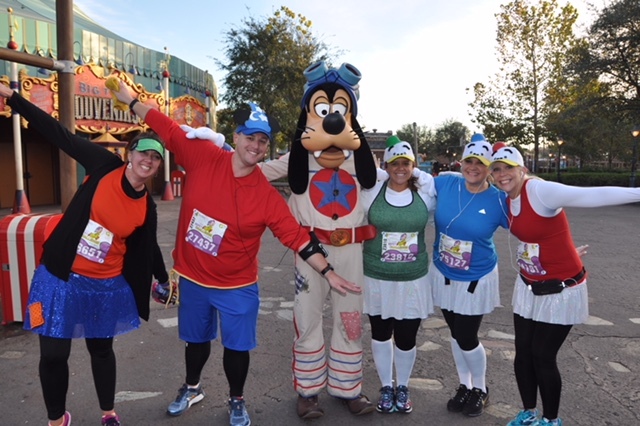 Once again Pluto, Donald, Goofy, Minnie, Mickey, and Dopey were at the start and end of the race for photo ops. We took advantage once again of this after the race! The shirt for this race was a black gender specific tech long sleeve tee. It featured Mikey and his pal Donald Duck. The medal was Mickey and Donald on a red and yellow background with a glittery 13.1 embossed on it. The ribbon was yellow with a blue border and had Donald’s beret on it. 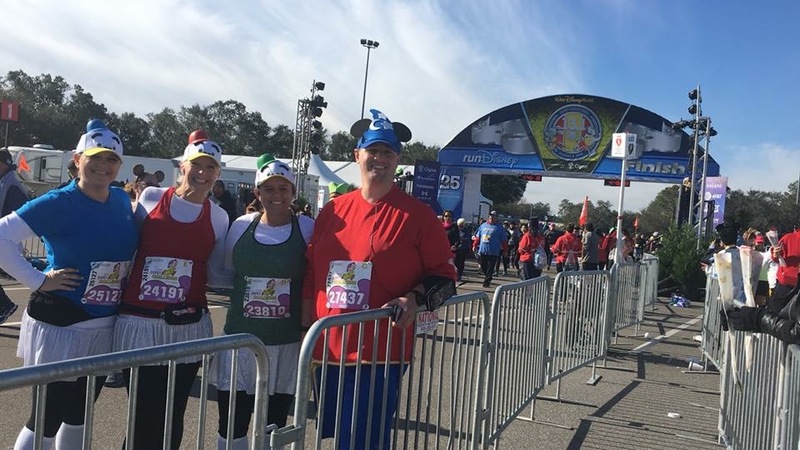 Keep checking back for the highlights from the Walt Disney Full Marathon tomorrow. 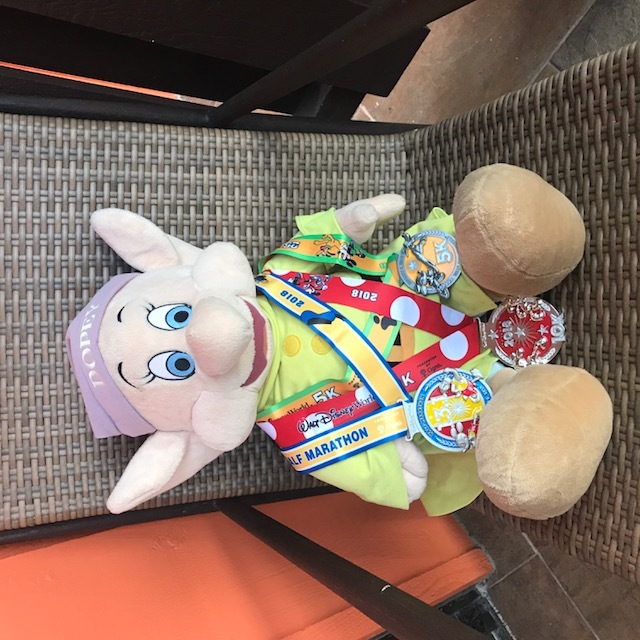 In the meantime check out all of our Walt Disney World Marathon Coverage from previous years and last week’s Walt Disney World 5K Highlights and 10K Highlights.